Osteochondral (OC) defects are prevalent among young adults and are notorious for being unable to heal. Although they are traumatic in nature, they often develop silently. Detection of many OC defects is challenging, despite the criticality of early care. Current repair approaches face limitations and cannot provide regenerative or long-standing solution. Clinicians and researchers are working together in order to develop approaches that can regenerate the damaged tissues and protect the joint from developing osteoarthritis. 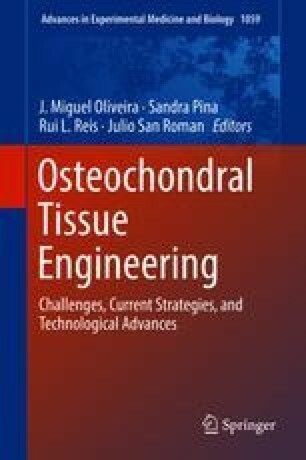 The current concepts of tissue engineering and regenerative medicine, which have brought many promising applications to OC management, are overviewed herein. We will also review the types of stem cells that aim to provide sustainable cell sources overcoming the limitation of autologous chondrocyte-based applications. The various scaffolding materials that can be used as extracellular matrix mimetic and having functional properties similar to the OC unit are also discussed.